﻿ Titanium Gr 2 Fasteners, Titanium Gr 5 Fasteners, Titanium Stud Bolts Exporter. ASTM B348 Titanium Alloy Hex Bolts, Titanium Gr5 Heavy Hex Nuts Exporter, Titanium Gr2 Stud Bolts, Titanium Gr5 Washers, Titanium Alloy Gr2 Anchor Bolts Supplier. We Amcometals an ISO certified company that consistently has tried to bring innovative customer engagements to the market. Our team of experts has always studied the trends in the market and designed products to fit the requirements precisely. We have always worked on helping our clients to choose products that suit best for their business needs. We are a manufacturer, trader, stockist, supplier, and exporter of Titanium Gr. 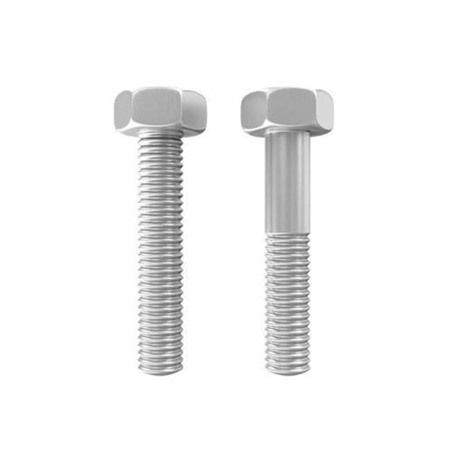 2 & 5 Fasteners which have impressive workability and weldability, as they are soft and easy to bend and cut. Our UNS R56400 Titanium Gr. 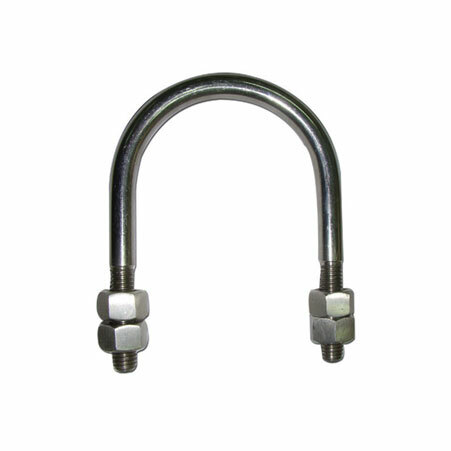 5 Eye Bolts are hardware devices that mechanically fastened or clamped, either permanently or temporarily. They are quick to fit and remove too. UNS R50400 Titanium 2 Washers can withstand galvanic corrosion; they are available in several types like Flat, structural, lock, finishing, dock, square dock washers, etc. 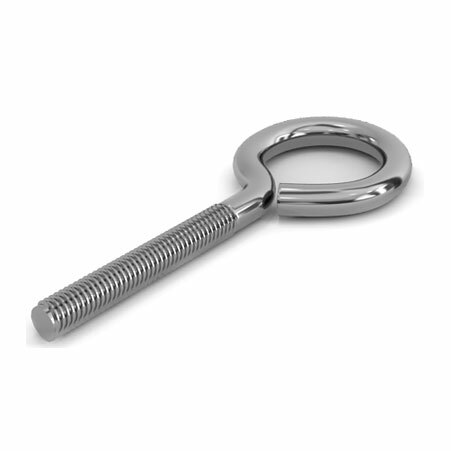 We supply Titanium GR 2 & 5 Machine Bolts to the marine industry. Our 25 years if experience has led us to build a products portfolio that is reliable and sustainable at the same time. Titanium Alloy Gr2 Eye Bolts, Titanium Gr5 Fasteners Manufacturer, Titanium Alloy Gr2 U Bolts, Titanium Gr5 Heavy Hex Bolts, Titanium Gr2 Fasteners Supplier. Standard : DIN 912, DIN913, DIN916, DIN 933, DIN 934, DIN963, DIN 7991, DIN 6921, ISO 7380, ISO 7984 etc. United States, Bolivia, Canada, Vietnam, Finland, Pakistan, South Africa, Gabon, Iraq, Qatar, Namibia, Ireland, Azerbaijan, Thailand, Kuwait, Russia, Bahrain, Czech Republic, Libya, Belgium, Austria, Poland, United Kingdom, Macau, Estonia, Croatia, Gambia, Oman, Mexico, Switzerland, Serbia, Algeria, Ghana, Hungary, Hong Kong, New Zealand, Kenya, China, France, Norway, Indonesia, Netherlands, Slovakia, Mongolia, Trinidad & Tobago,Tunisia, Nepal, Denmark, Angola, Saudi Arabia, Romania, Israel, Kazakhstan, Lebanon, Iran, Italy, Zimbabwe, Nigeria, Philippines, Spain, Portugal, Peru, Mexico, Egypt, South Korea, Australia, Afghanistan, Bangladesh, Poland, Ecuador, Morocco, Japan, Colombia, Chile, Sweden, Iran, Argentina, Yemen, Brazil, Bulgaria, Jordan, Venezuela, Puerto Rico, Malaysia, Costa Rica, Singapore, Turkey, Belarus, Nigeria, Bhutan, United Arab Emirates, Chile, Greece, Tibet, Taiwan, India, Ukraine, Lithuania, Germany, Sri Lanka. Edmonton, Ranchi, Dubai, Kanpur, Ankara, Howrah, Kuala Lumpur, Port-of-Spain, Lagos, Bangkok, Rajkot, Gurgaon, Pune, New York, Karachi, Lahore, Toronto, Visakhapatnam, Petaling Jaya, Seoul, Ho Chi Minh City, Abu Dhabi, Jakarta, Surat, Dammam, Secunderabad, Kolkata, Faridabad, Jaipur, Sharjah, Aberdeen, Pimpri-Chinchwad, Haryana, Dallas, Bogota, Mexico City, Brisbane, Bengaluru, Baroda, Noida, Algiers, Montreal, Muscat, Courbevoie, Melbourne, Bhopal, Hanoi, Granada, Thiruvananthapuram, Caracas, Al Khobar, Nagpur, Colombo, Geoje-si, Indore, Jamshedpur, Rio de Janeiro, Milan, Hyderabad, Riyadh, Coimbatore, Los Angeles, Busan, Perth, New Delhi, Atyrau, Ahvaz, La Victoria, Chandigarh, Chiyoda, Kuwait City, Madrid, Gimhae-si, Vung Tau, Chennai, Ernakulam, Doha, Houston, Sydney, London, Mumbai, Vadodara, Nashik, Tehran, Calgary, Moscow, Istanbul, Manama, Jeddah, Thane, Ahmedabad, Santiago, Ludhiana, Al Jubail, Hong Kong, Singapore, Navi Mumbai, Cairo, Ulsan.